Aristotle (c. 384 B.C. to 322 B.C.) was an Ancient Greek philosopher and scientist who is still considered one of the greatest thinkers in politics, psychology and ethics. When Aristotle turned 17, he enrolled in Plato’s Academy. In 338, he began tutoring Alexander the Great. In 335, Aristotle founded his own school, the Lyceum, in Athens, where he spent most of the rest of his life studying, teaching and writing. 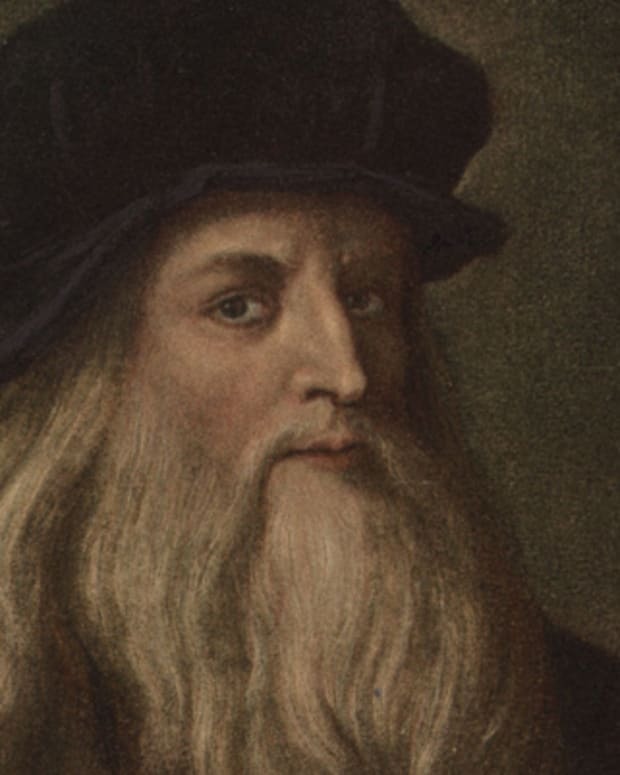 Some of his most notable works include Nichomachean Ethics, Politics, Metaphysics, Poetics and Prior Analytics. Aristotle in The School of Athens, a fresco by Raphael, 1509. Aristotle wrote an estimated 200 works, most in the form of notes and manuscript drafts touching on reasoning, rhetoric, politics, ethics, science and psychology. They consist of dialogues, records of scientific observations and systematic works. 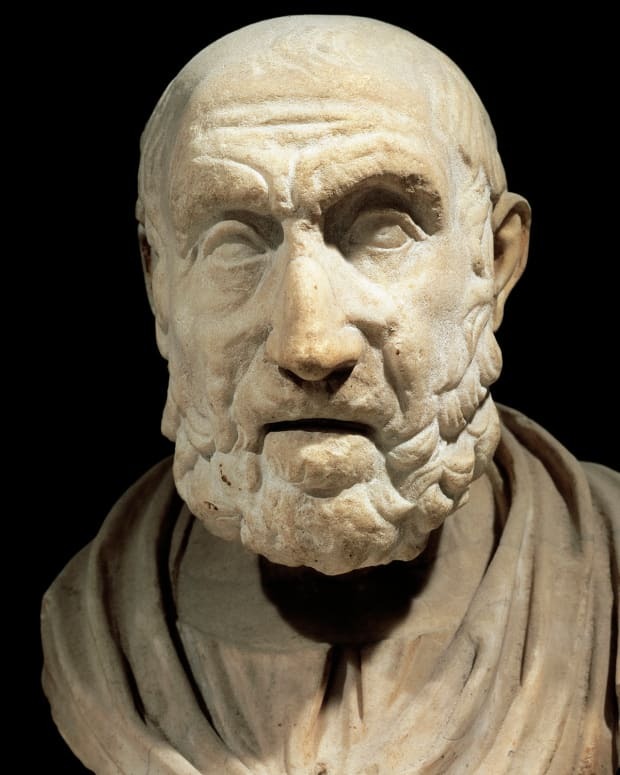 His student Theophrastus reportedly looked after Aristotle’s writings and later passed them to his own student Neleus, who stored them in a vault to protect them from moisture until they were taken to Rome and used by scholars there. Of Aristotle’s estimated 200 works, only 31 are still in circulation. Most date to Aristotle’s time at the Lyceum. 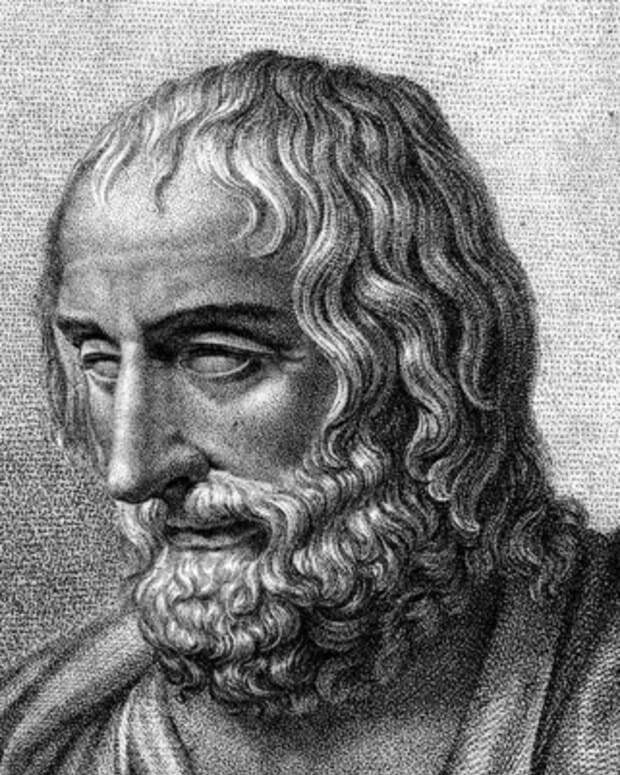 Poetics is a scientific study of writing and poetry where Aristotle observes, analyzes and defines mostly tragedy and epic poetry. Compared to philosophy, which presents ideas, poetry is an imitative use of language, rhythm and harmony that represents objects and events in the world, Aristotle posited. His book explores the foundation of storymaking, including character development, plot and storyline. On happiness: In his treatises on ethics, Aristotle aimed to discover the best way to live life and give it meaning — “the supreme good for man,” in his words — which he determined was the pursuit of happiness. Our happiness is not a state but but an activity, and it’s determined by our ability to live a life that enables us to use and develop our reason. While bad luck can affect happiness, a truly happy person, he believed, learns to cultivate habits and behaviors that help him (or her) to keep bad luck in perspective. The golden mean: Aristotle also defined what he called the “golden mean.” Living a moral life, Aristotle believed, was the ultimate goal. Doing so means approaching every ethical dilemma by finding a mean between living to excess and living deficiently, taking into account an individual’s needs and circumstances. In his book Metaphysics, Aristotle clarified the distinction between matter and form. To Aristotle, matter was the physical substance of things, while form was the unique nature of a thing that gave it its identity. In Politics, Aristotle examined human behavior in the context of society and government. Aristotle believed the purpose of government was make it possible for citizens to achieve virtue and happiness. Intended to help guide statesmen and rulers, Politics explores, among other themes, how and why cities come into being; the roles of citizens and politicians; wealth and the class system; the purpose of the political system; types of governments and democracies; and the roles of slavery and women in the household and society. 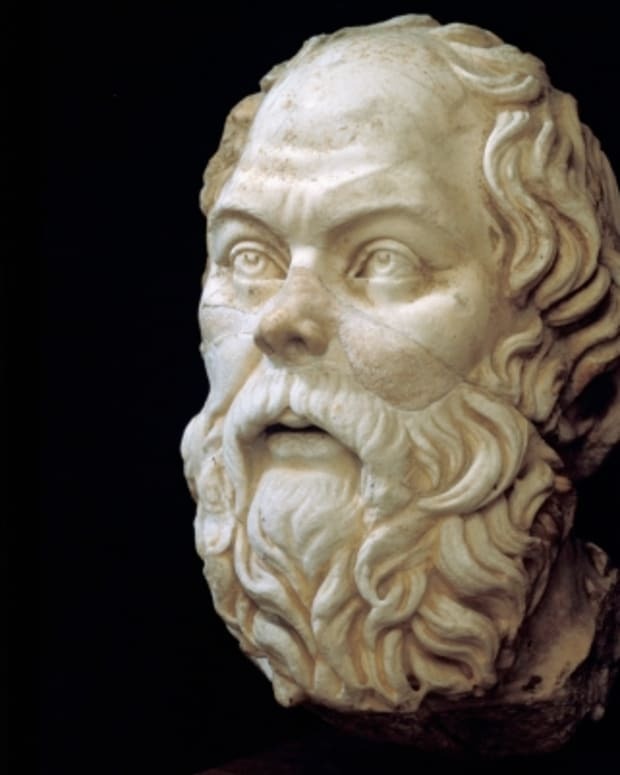 In Rhetoric, Aristotle observes and analyzes public speaking with scientific rigor in order to teach readers how to be more effective speakers. Aristotle believed rhetoric was essential in politics and law and helped defend truth and justice. Good rhetoric, Aristotle believed, could educate people and encourage them to consider both sides of a debate. Aristotle’s work explored how to construct an argument and maximize its effect, as well as fallacious reasoning to avoid (like generalizing from a single example). 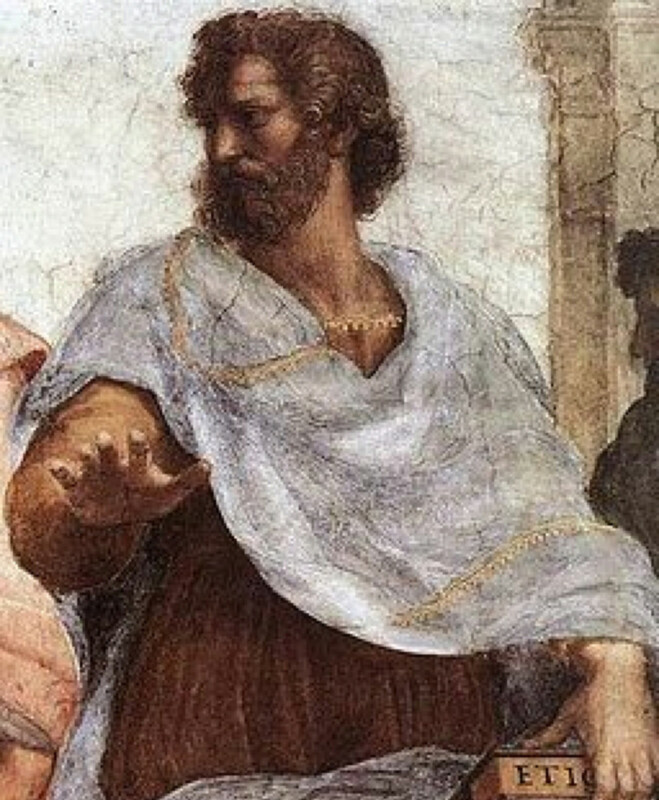 In Prior Analytics, Aristotle explains the syllogism as “a discourse in which, certain things having been supposed, something different from the things supposed results of necessity because these things are so.” Aristotle defined the main components of reasoning in terms of inclusive and exclusive relationships. These sorts of relationships were visually grafted in the future through the use of Venn diagrams. Besides Prior Analytics, Aristotle’s other major writings on logic include Categories, On Interpretation and Posterior Analytics. In these works, Aristotle discusses his system for reasoning and for developing sound arguments. Aristotle composed works on astronomy, including On the Heavens, and earth sciences, including Meteorology. 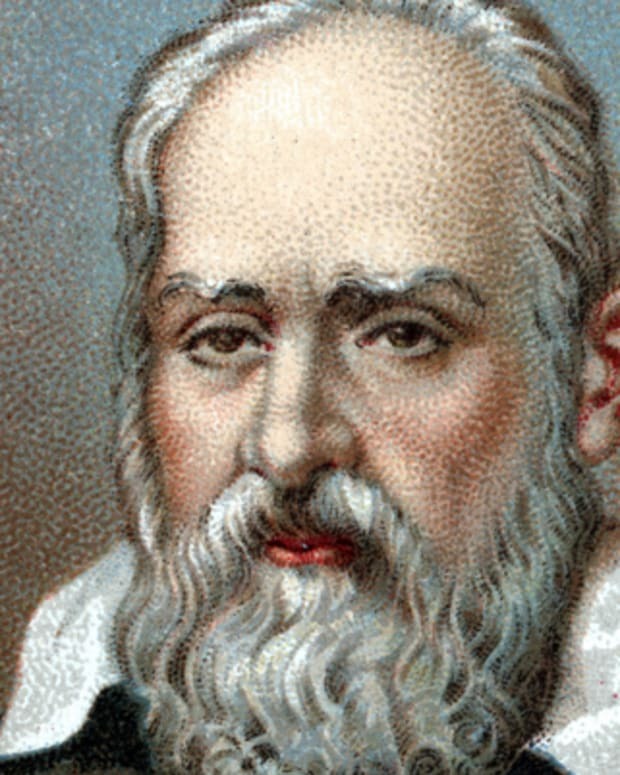 By meteorology, Aristotle didn’t simply mean the study of weather. His more expansive definition of meteorology included “all the affectations we may call common to air and water, and the kinds and parts of the earth and the affectations of its parts.” In Meteorology, Aristotle identified the water cycle and discussed topics ranging from natural disasters to astrological events. Although many of his views on the Earth were controversial at the time, they were re-adopted and popularized during the late Middle Ages. In On the Soul, Aristotle examines human psychology. Aristotle’s writings about how people perceive the world continue to underlie many principles of modern psychology. Aristotle’s work on philosophy influenced ideas from late antiquity all the way through the Renaissance. One of the main focuses of Aristotle’s philosophy was his systematic concept of logic. Aristotle’s objective was to come up with a universal process of reasoning that would allow man to learn every conceivable thing about reality. The initial process involved describing objects based on their characteristics, states of being and actions. In his philosophical treatises, Aristotle also discussed how man might next obtain information about objects through deduction and inference. To Aristotle, a deduction was a reasonable argument in which “when certain things are laid down, something else follows out of necessity in virtue of their being so.” His theory of deduction is the basis of what philosophers now call a syllogism, a logical argument where the conclusion is inferred from two or more other premises of a certain form. Although Aristotle was not technically a scientist by today’s definitions, science was among the subjects that he researched at length during his time at the Lyceum. Aristotle believed that knowledge could be obtained through interacting with physical objects. He concluded that objects were made up of a potential that circumstances then manipulated to determine the object’s outcome. He also recognized that human interpretation and personal associations played a role in our understanding of those objects. Aristotle’s research in the sciences included a study of biology. He attempted, with some error, to classify animals into genera based on their similar characteristics. He further classified animals into species based on those that had red blood and those that did not. The animals with red blood were mostly vertebrates, while the “bloodless” animals were labeled cephalopods. Despite the relative inaccuracy of his hypothesis, Aristotle’s classification was regarded as the standard system for hundreds of years. Marine biology was also an area of fascination for Aristotle. Through dissection, he closely examined the anatomy of marine creatures. In contrast to his biological classifications, his observations of marine life, as expressed in his books, are considerably more accurate. When and Where Was Aristotle Born? Aristotle was born circa 384 B.C. in Stagira, a small town on the northern coast of Greece that was once a seaport. Aristotle’s father, Nicomachus, was court physician to the Macedonian king Amyntas II. Although Nicomachus died when Aristotle was just a young boy, Aristotle remained closely affiliated with and influenced by the Macedonian court for the rest of his life. Little is known about his mother, Phaestis; she is also believed to have died when Aristotle was young. After Aristotle’s father died, Proxenus of Atarneus, who was married to Aristotle’s older sister, Arimneste, became Aristotle’s guardian until he came of age. When Aristotle turned 17, Proxenus sent him to Athens to pursue a higher education. At the time, Athens was considered the academic center of the universe. In Athens, Aristotle enrolled in Plato’s Academy, Greek’s premier learning institution, and proved an exemplary scholar. Aristotle maintained a relationship with Greek philosopher Plato, himself a student of Socrates, and his academy for two decades. Plato died in 347 B.C. 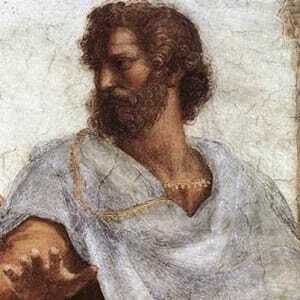 Because Aristotle had disagreed with some of Plato’s philosophical treatises, Aristotle did not inherit the position of director of the academy, as many imagined he would. 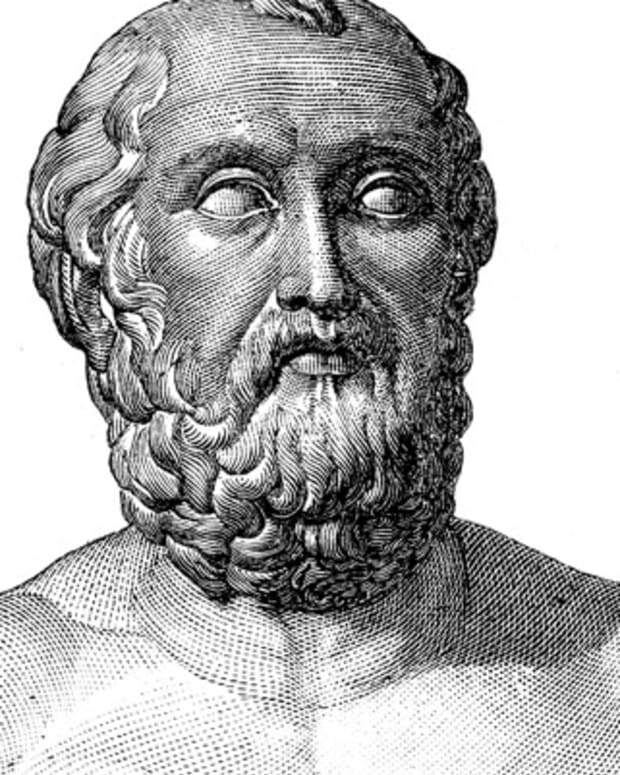 After Plato died, Aristotle’s friend Hermias, king of Atarneus and Assos in Mysia, invited Aristotle to court. During his three-year stay in Mysia, Aristotle met and married his first wife, Pythias, King Hermias’ niece. Together, the couple had a daughter, Pythias, named after her mother. In 335 B.C., the same year that Aristotle opened the Lyceum, his wife Pythias died. Soon after, Aristotle embarked on a romance with a woman named Herpyllis, who hailed from his hometown of Stagira. 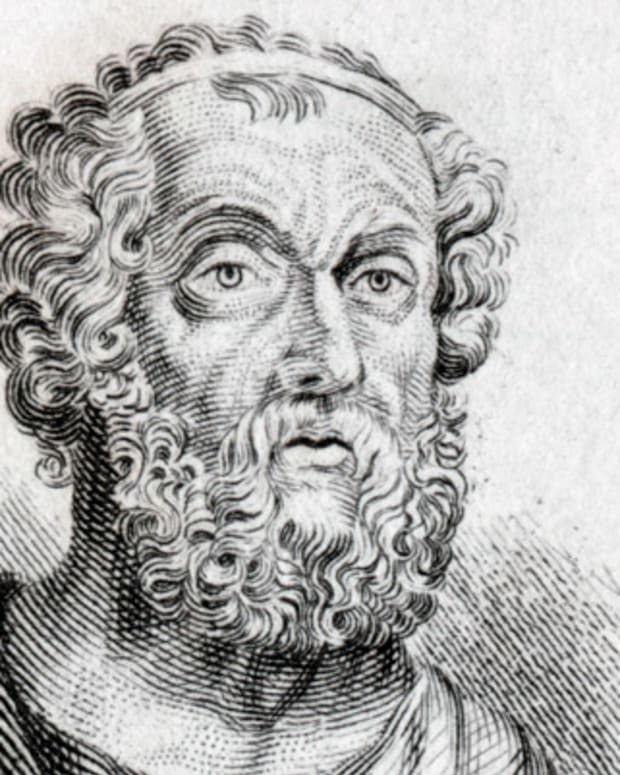 According to some historians, Herpyllis may have been Aristotle’s slave, granted to him by the Macedonia court. They presume that he eventually freed and married her. 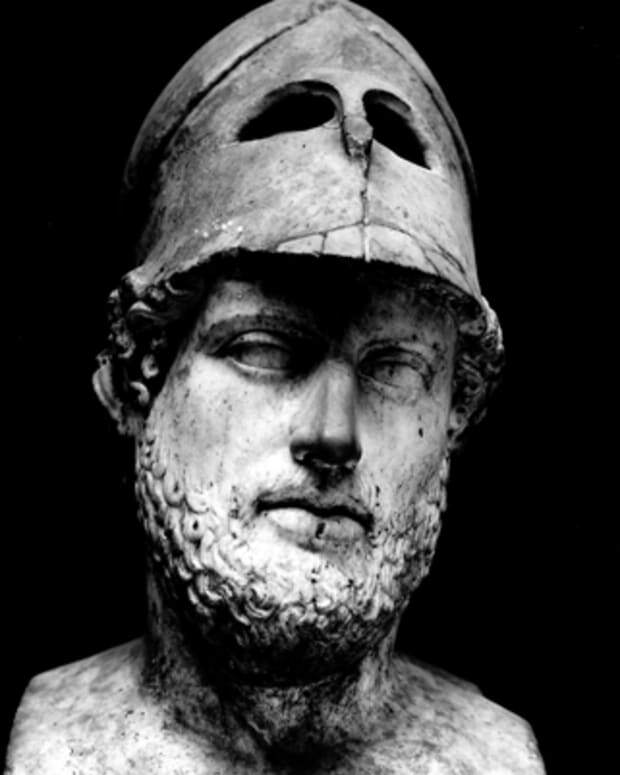 Regardless, it is known that Herpyllis bore Aristotle children, including one son named Nicomachus, after Aristotle’s father. In 338 B.C., Aristotle went home to Macedonia to start tutoring King Phillip II’s son, the then 13-year-old Alexander the Great. Phillip and Alexander both held Aristotle in high esteem and ensured that the Macedonia court generously compensated him for his work. In 335 B.C., after Alexander had succeeded his father as king and conquered Athens, Aristotle went back to the city. In Athens, Plato’s Academy, now run by Xenocrates, was still the leading influence on Greek thought. With Alexander’s permission, Aristotle started his own school in Athens, called the Lyceum. On and off, Aristotle spent most of the remainder of his life working as a teacher, researcher and writer at the Lyceum in Athens until the death of his former student Alexander the Great. Because Aristotle was known to walk around the school grounds while teaching, his students, forced to follow him, were nicknamed the “Peripatetics,” meaning “people who travel about.” Lyceum members researched subjects ranging from science and math to philosophy and politics, and nearly everything in between. Art was also a popular area of interest. Members of the Lyceum wrote up their findings in manuscripts. In so doing, they built the school’s massive collection of written materials, which by ancient accounts was credited as one of the first great libraries. When Alexander the Great died suddenly in 323 B.C., the pro-Macedonian government was overthrown, and in light of anti-Macedonia sentiment, Aristotle was charged with impiety for his association with his former student and the Macedonian court. To avoid being prosecuted and executed, he left Athens and fled to Chalcis on the island of Euboea, where he would remain until his death a year later. When and How Did Aristotle Die? In 322 B.C., just a year after he fled to Chalcis to escape prosecution under charges of impiety, Aristotle contracted a disease of the digestive organs and died. In the century following Aristotle’s death, his works fell out of use, but they were revived during the first century. 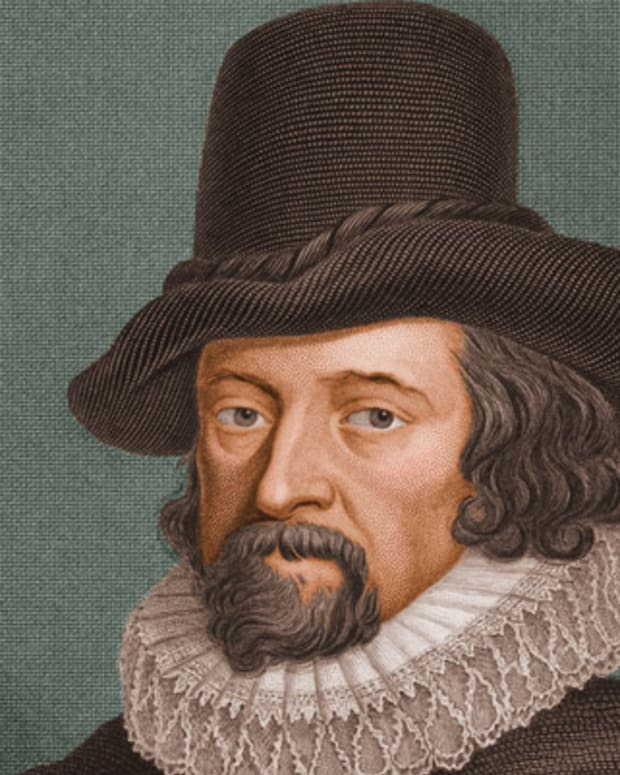 Over time, they came to lay the foundation of more than seven centuries of philosophy. Aristotle’s influence on Western thought in the humanities and social sciences is largely considered unparalleled, with the exception of his teacher Plato’s contributions, and Plato’s teacher Socrates before him. The two-millennia-strong academic practice of interpreting and debating Aristotle’s philosophical works continues to endure.